There has been a lot of excitement building with the Tour de France coming through the district on 7th July. As part of the Museum on the Move programme the Museum team will be at Epping Town Show on Sunday 6th July making masks and flags ready for Monday 7th July. 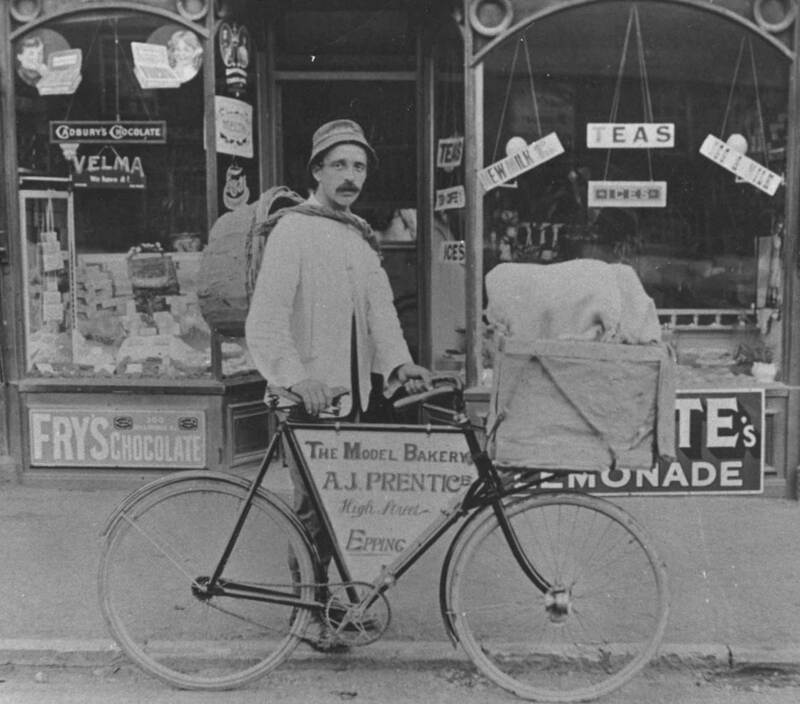 Leading up to the day the Museum has been sharing historic cycling images from the district on the Museum’s twitter page @EFDMuseum. We will be sharing many more things from the Museum’s photographic archives throughout the Museum’s redevelopment so why not follow us on Twitter or like us on Facebook to see them! The District has a long cycling history; from Ongar Cycling Club and the Cottis family of Epping to the increased interest in cycling as a pastime within the forest. So here are some of the best historic cycling images from the Museum’s collection. W. Cottis and Sons was the main employer in Epping. Their iron foundry, based just behind the High Street, produced a range of agricultural and domestic wares that were famous around the world for their high quality. 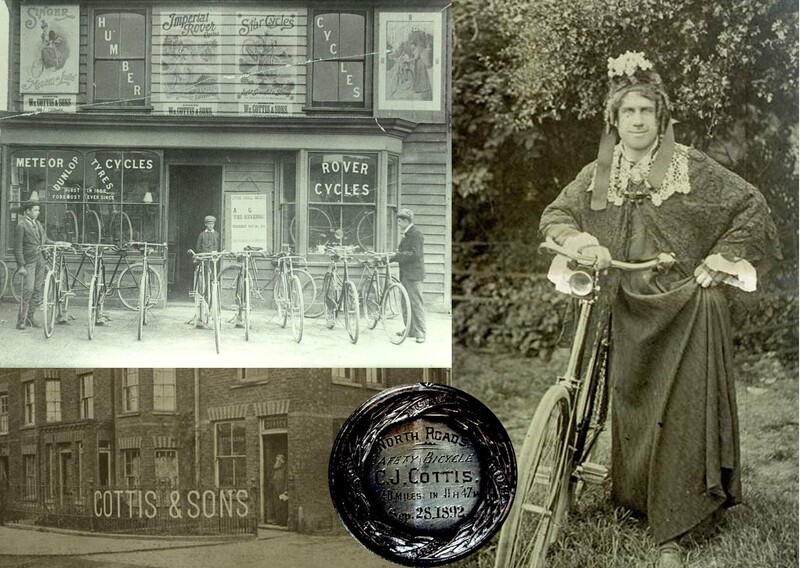 Cottis was also very good at moving into new markets, making bicycles to capitalise on the increased popularity of this leisure activity in the forest, then opening a garage to make the most of the rise of this form of transport. 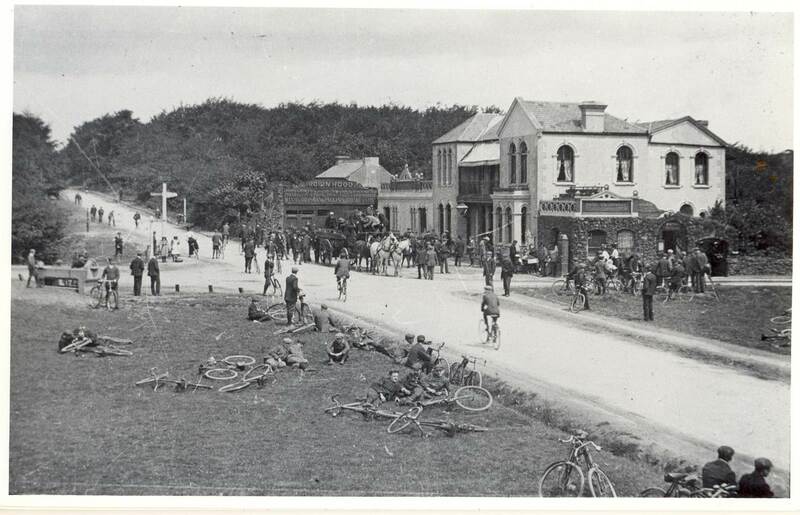 In the image above you can see the bicycles on display at their shop as well as Crispus Cottis, part of the family, at a fancy dress cycle race and one of his medals dating from 1892. 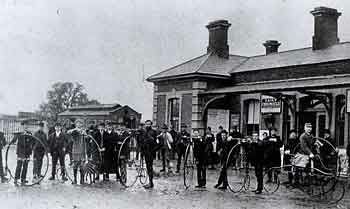 This image shows The Ongar Cycling Club standing outside Ongar station with their bicycles, mostly penny farthings. It’s possible they used the train to travel further with their bicycles as it can’t have been easy to peddle far on one of these! 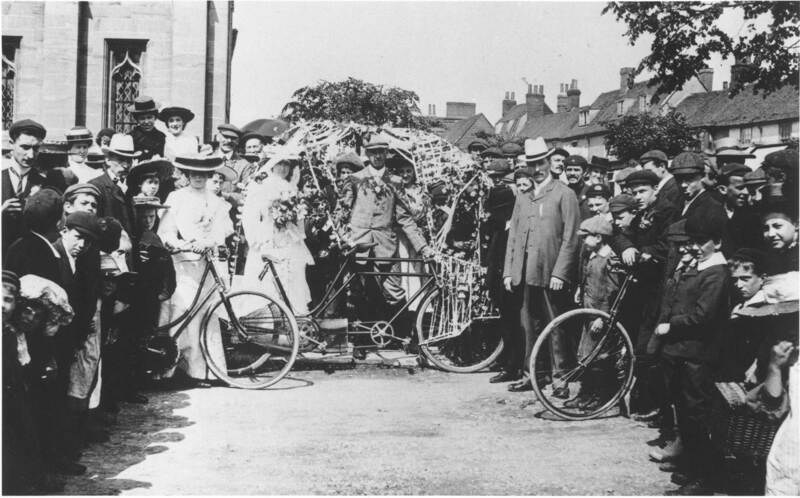 This entry was posted in Collections, Events, Heritage Lottery Fund, Museum, Photographs and tagged Bicycles, Crispus Cottis, cycling, Epping, Ongar Cycling Club, Tour de France by EFDMuseum. Bookmark the permalink. Reblogged this on Epping Town Council.